After last year’s success of gathering over 200 participants and distributing 5000 tree seedlings to over 20 schools, CEED Uganda continues its legacy in promoting environmental conservation and mobilizing crowds to fight against deforestation in Uganda. This year’s goal is to plant 10,000 trees in schools to contribute to reforestation and restoration of forest cover. In efforts to combat the adversities of climate change, the campaign strives for reforestation and restoration of forest cover through educating the masses on the importance of tree planting and sparking discussions within the community of Gulu. By addressing climate change, we can build a sus­tainable world for everyone. But we need to act #TOGETHERNOW. If left unchecked, climate change will undo a lot of the progress made over the past years in development. It can also exacerbate, as we are already seeing, current threats such as food and water scarcity, which can lead to conflict. Doing nothing will end up costing us a lot more than if we take actions now that will lead to more jobs, greater prosperity, and better lives for all while building climate resilience. 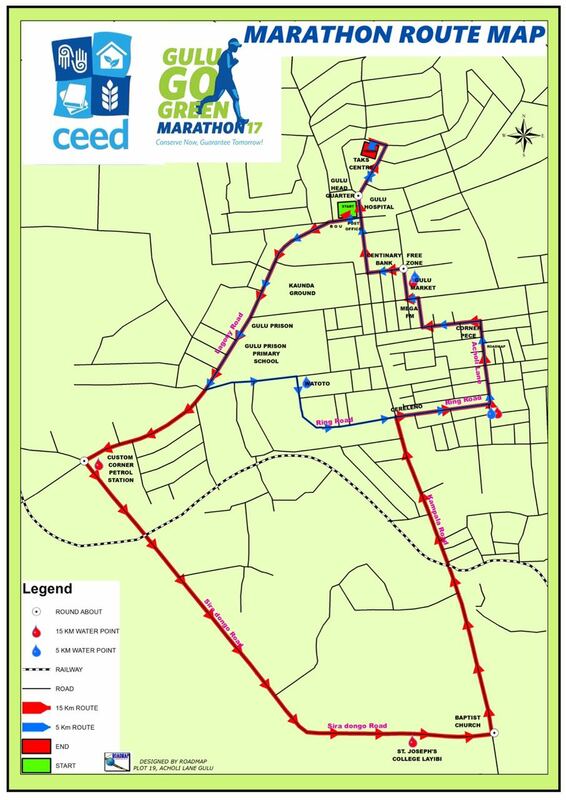 The marathon is CEED Uganda’s commitment to fulfilling the Sustainable Development Goal 13 which requires taking urgent action to combat climate change and its impacts. While the pain of the crisis sunk into many residents of this town, the need for leadership and immediate ACTION in coming up with sustainable solutions remained a gap. CEED Uganda was quick to launch the Gulu Go Green campaign to sensitize the community on the indiscriminate cutting down of trees and its adverse effects on the environment. 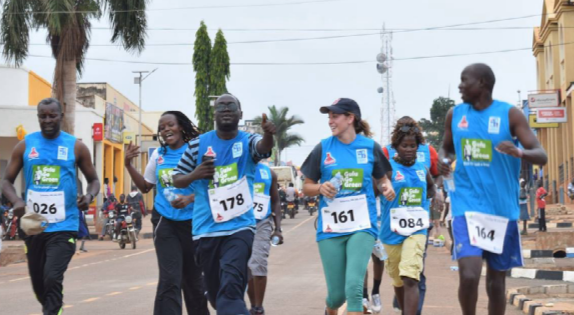 The marathon proved to be an engaging, educative, fun, participatory, inclusive model of mobilization and sensitization of the community about the dangers of environmental degradation. It is in this breath that we seek to continue partnering with all stakeholders to take urgent action to combat climate change and its impacts.